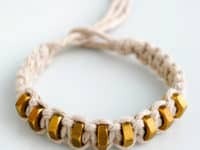 We stopped making many of the knotted bracelets as adults that we adored as kids because we found that we couldn’t wear the knotted bracelets to most of the jobs we got, but we never stopped loving the actual nature of the techniques. That’s why we were so excited to learn that the basic skills used in macrame are actually much the same! 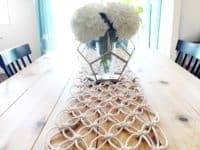 Now, instead of making lots of little bracelets to tie around our wrists and ankles, you’ll find us knotting all kinds of slightly more neutral but still rather impressive looking decor pieces for around our home! 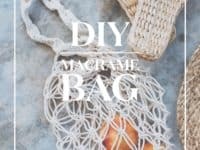 Just in case you’re feeling as excited about the idea of learning more about macrame as we were, if not more, take a look at these 14 tutorials from across the internet and back. 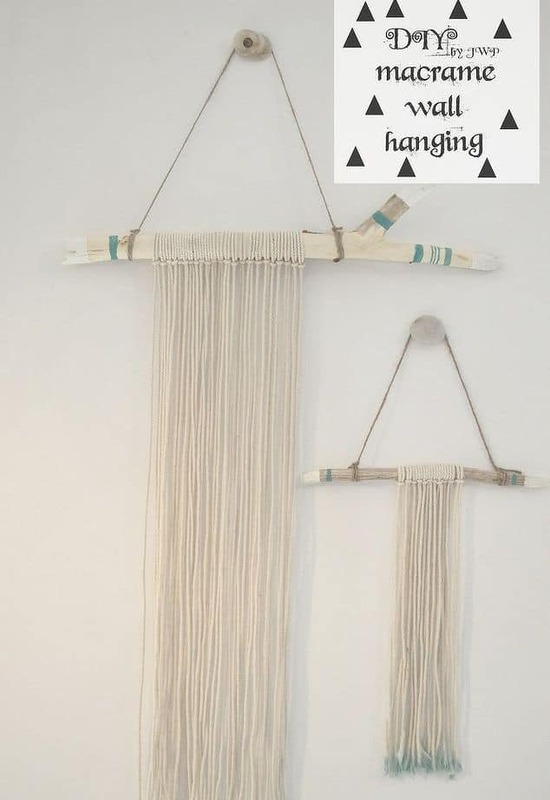 Are you perhaps looking for a simple decor piece that has a sort of Southwestern feel to it, giving you lots of opportunity to work with strings and threads but also bearing an element of the outdoors coming in? 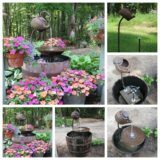 Then we might have found just the tutorial for you right off the bat! 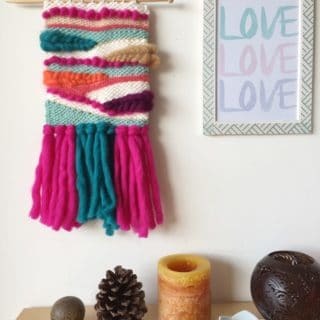 Hometalk suggests creating a dip dyed knotted fringe tied around a branch and even shows you how to add some cute coloured detail by wrapping chunks of coloured embroidery floss around your stick on each end. Then they teach you how to mount it on the wall, just to make sure you’re covered from start to finish! 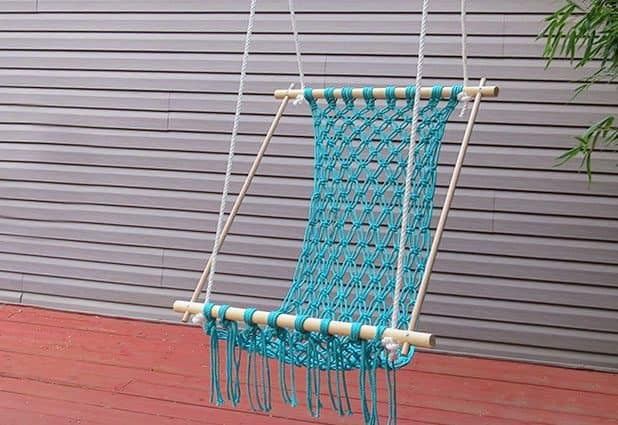 If you’re going to spend the time and effort it takes to knot something from scratch, would you actually prefer to create something that’s a little more practical, or something that you might actually use just about every day? 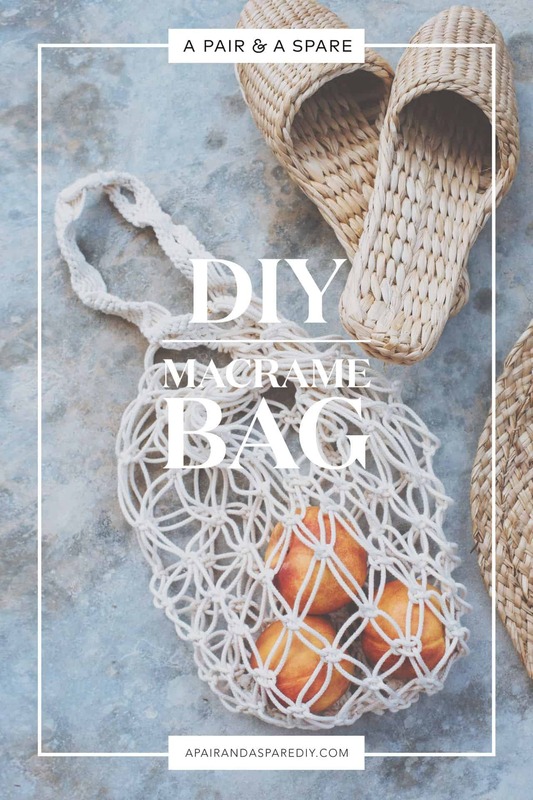 In that case, we’d definitely suggest taking a look at how A Pair and A Spare made this amazing macrame tote bag that’s perfect for grocery shopping, so long as what you’re picking up is bigger than the spaces between the knots. 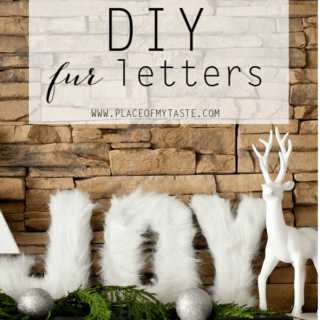 This project is great because it’s actually a lot simpler to make than it looks. Did we almost catch and keep your attention when we started talking about dip dying macrame fringe, but you think perhaps you’d rather concentrate more on dyed colour and less on embroidery wrapping the stick mount? 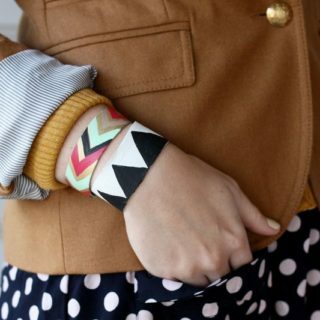 Maybe you’d prefer knot to work with the stick at all because you’ve always just liked soft materials DIY better. We can understand that! 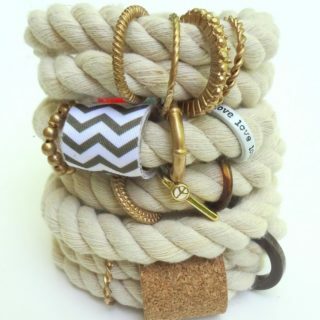 That’s why we’ve included this awesome rope version of a similar idea for your consideration instead. 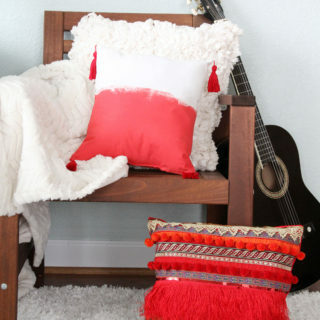 Check out how DIY Ideas did a more saturated dip dye job. 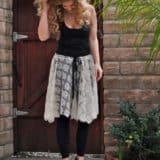 Have you always been the kind of person who loves to blend aesthetics, going back and forth somewhere between Boho or rustic chic and kitschy pieces or bright colours when it comes to your personal style? 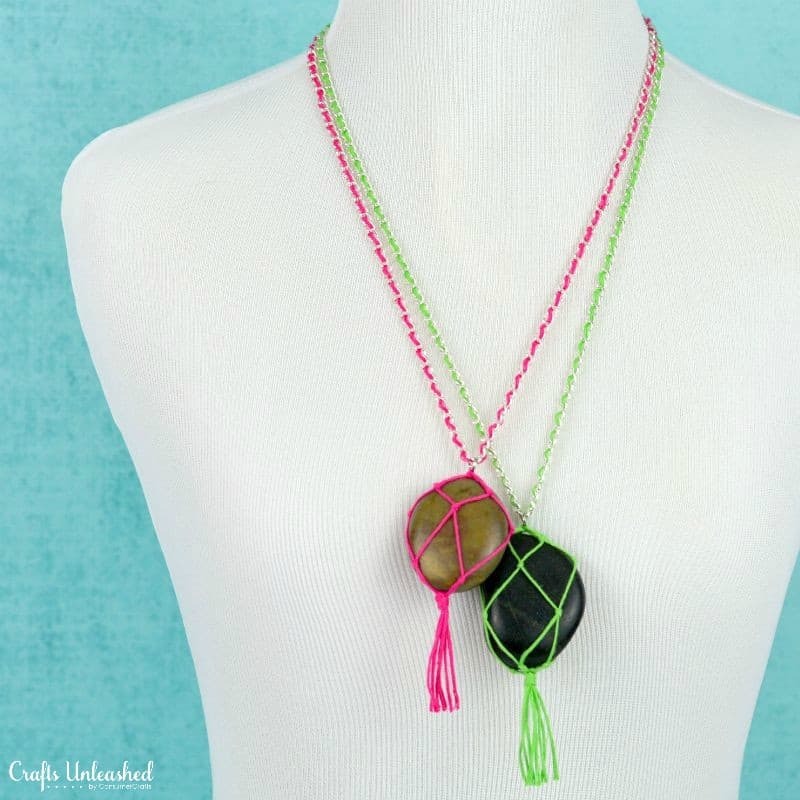 Then we have a feeling you’re going to love the way Crafts Unleashed created a macrame necklace and pendant that combines macrame techniques and river stones with silver jewelry chain and neon colours! 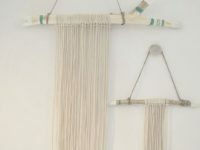 Are you actually quite a big fan of all these macrame wall hanging techniques that we’ve shown you so far, but you like the basic concept so much that you’ve been wondering whether you might make a miniature version to wear around on your person instead of just hanging in your home? 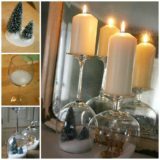 Then we have a feeling you’re going to get along very well indeed with this fantastic tutorial from KSVHS! 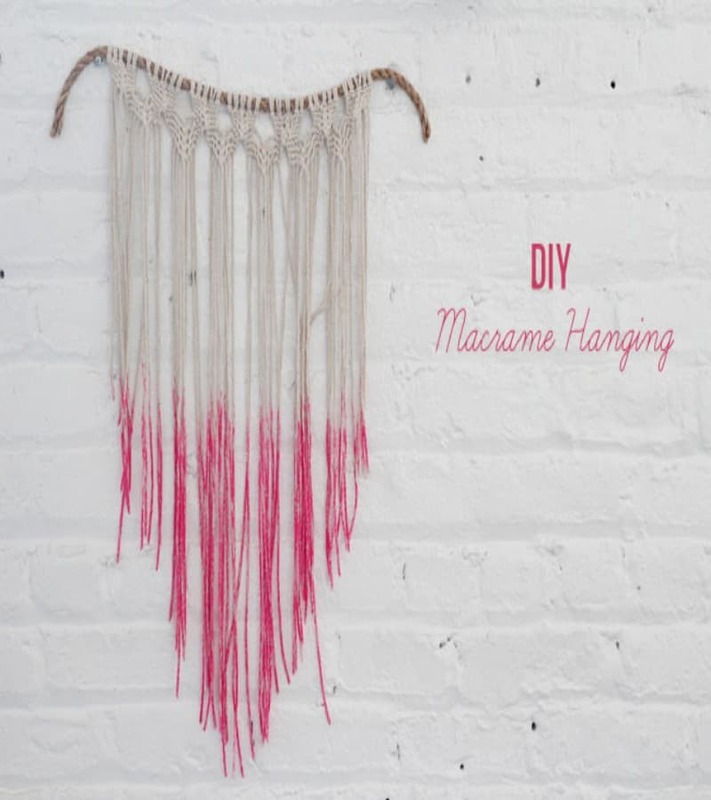 They show you how to make a small necklace pendant of beautifully knotted and beaded macrame that hangs down from your necklace chain on a small hoop. 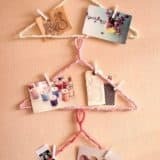 Are you perhaps still very interested in getting some lovely knotting done for your home but, once again, you’re still feeling quite tempted to make something that’s got some practical use to it? 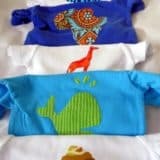 In that case, we’d like to direct your attention to this fantastic project featured on The DIY Mommy. 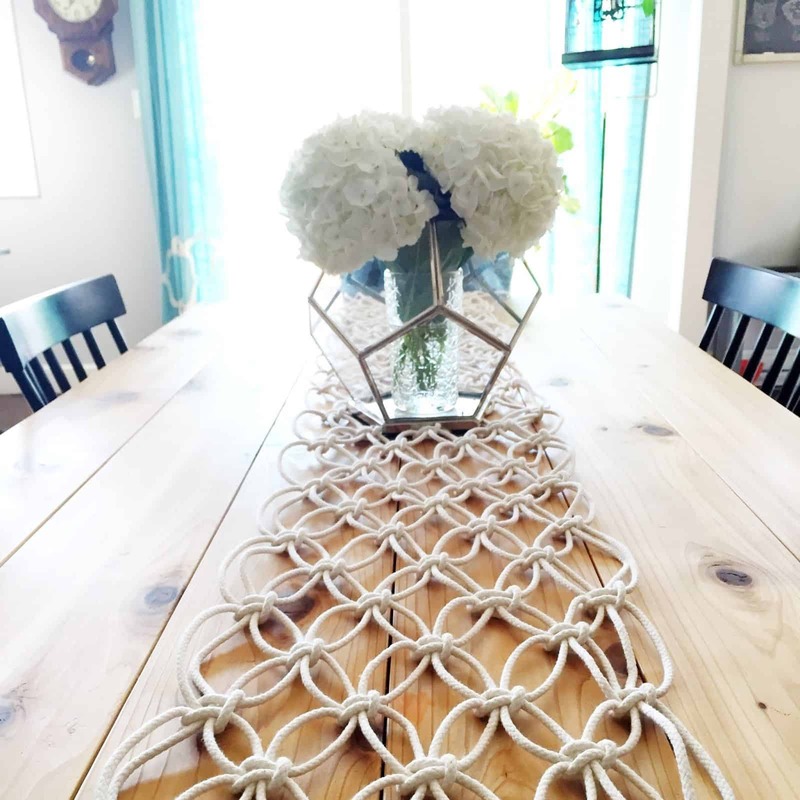 Their tutorial guides you step by step through the process of knotting yourself a beautiful, almost beach rope inspired table runner that suits natural wood tables wonderfully. 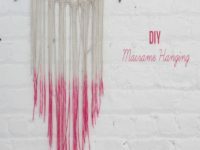 Are you quite intrigued by the idea of making some macrame fishnet with tassels but you’re not sure a wall hanging or something from scratch is the kind of project you’ll really have time for at the moment? 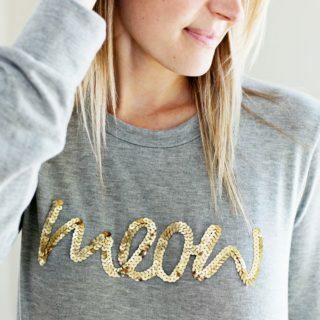 Then perhaps you’d like to embellish something pre-made instead to give it a little more personality! 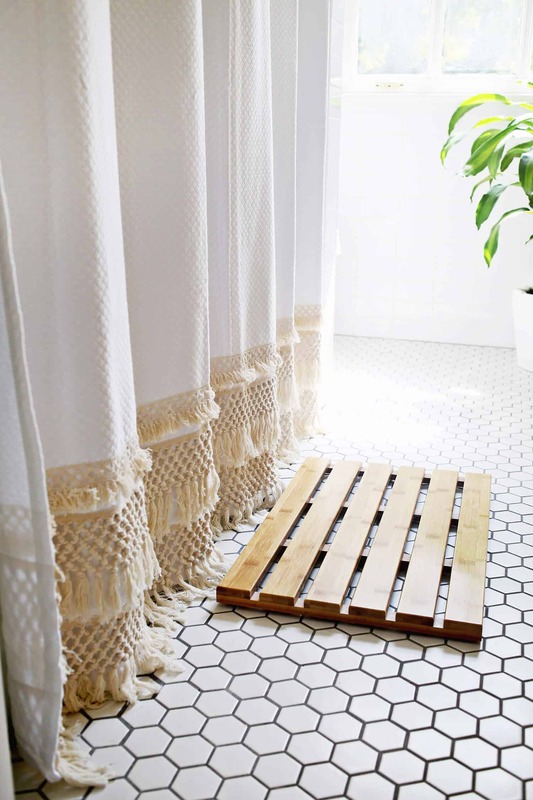 We’re absolutely in love with the way A Beautiful Mess created this fantastic shower curtain by sewing hand knotted rope pieces along the bottom like trim. 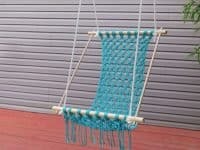 Perhaps you’re actually quite experience with macrame and you’re feeling confident in your skills, so you’re ready to tackle a project that’s a little more of a challenge? 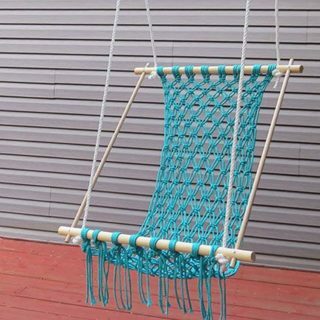 In that case, we’d absolutely suggest taking a look at how DIY Selfy created a fully hand knotted hammock chair using ropes and wooden dowels! Believe it or not, this project is actually a lot simpler than it looks. We made this (in purple, of course) and hung it on our balcony and now we used it as a reading nook on warm days. 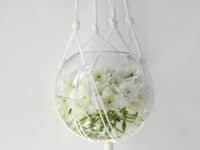 Have you always been completely enamoured with the idea of making macrame based hanging planters, but you’re not actually in a position to care for house plants right now since you’re so busy with work so you’re looking for an idea with a bit of a twist? 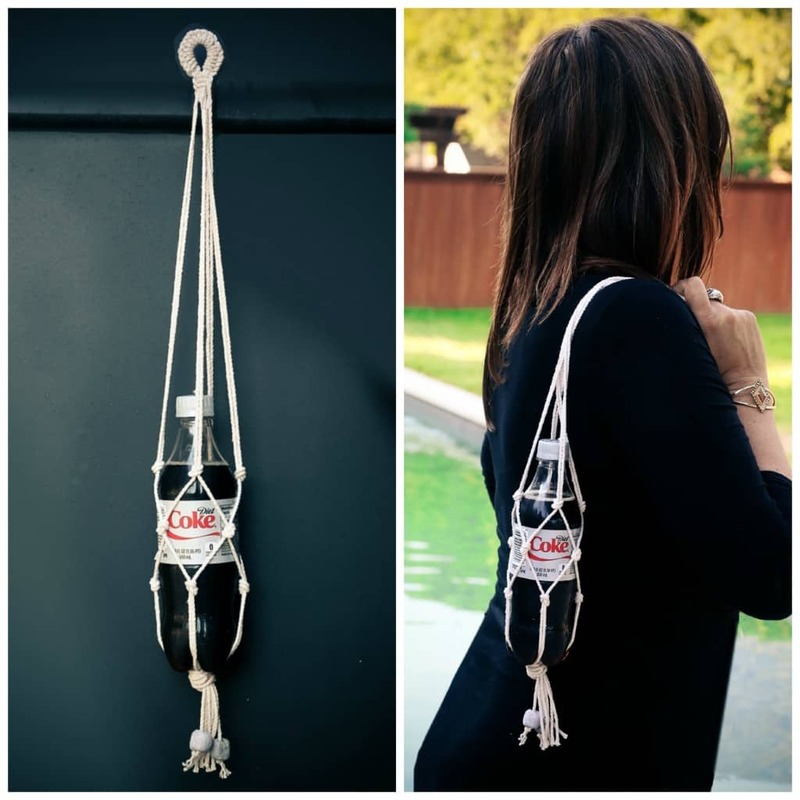 Then we definitely think you should take a look at how Tut Plus created a macrame piece to nestle a water vase into instead! 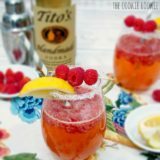 We love the contrast between the tightly wrapped knots and the delicately floating flowers inside the glass. 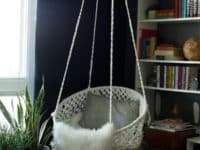 Are you actually still feeling so enamoured by the idea of a comfortable macrame chair that you can’t stop thinking about it as you scroll, but you’re wondering whether there are other ways to do it or styles to create because the project is quite an investment and you’d like to make sure you really pick the right one? Then here’s another design for your consideration! 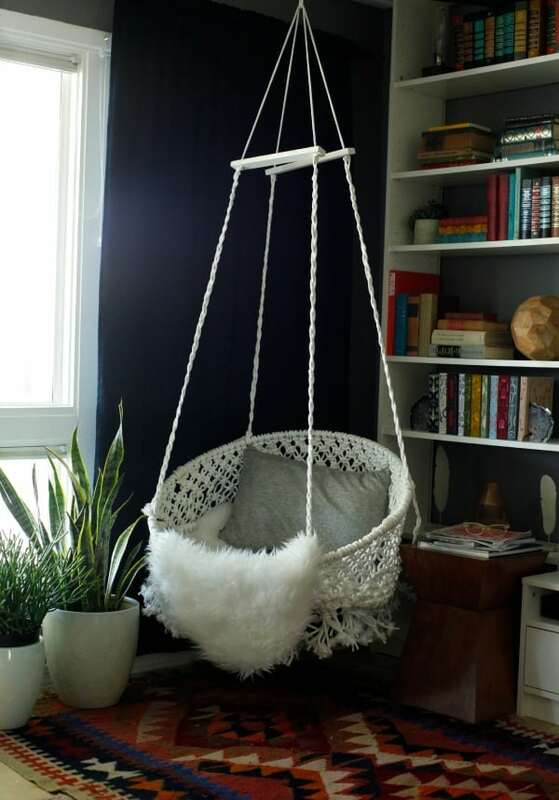 Check out how Classy Cutter made this “dish chair” shaped version of the macrame hammock chair by doing all of their knotting around the circumference of a hula hoop to get that circular shape. 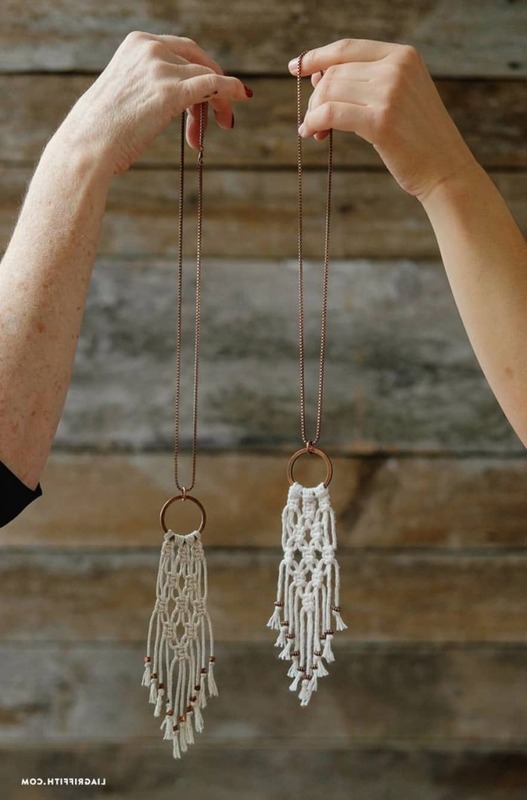 Did you actually really love the idea of making a macrame piece in miniature like you saw in the necklace pendants we showed you earlier on our list but you’re just not sure it’s something you’d actually wear on a day to day basis? 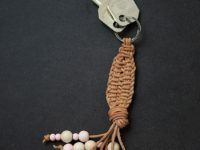 Then perhaps you’d prefer to make yourself a little keychain instead! 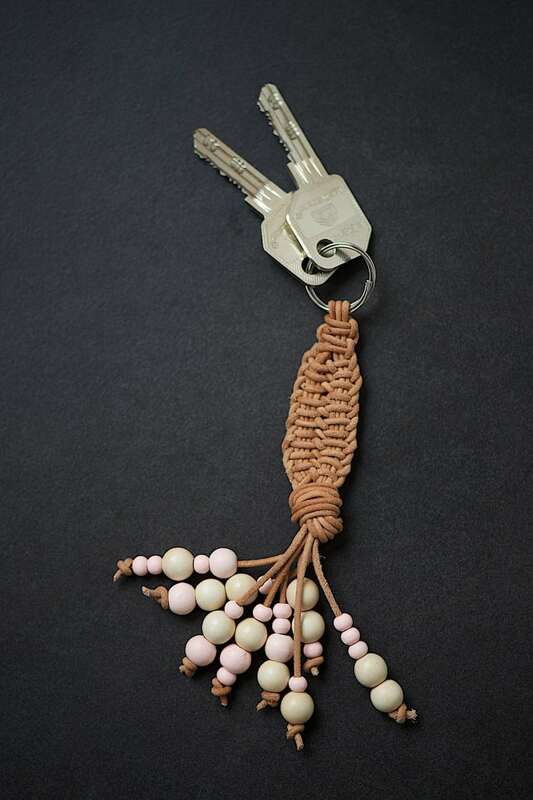 We love the way DeWanda outlines this adorable knotted leather string piece, particularly since their beading adds even more personality. Are you still thinking about what we said regarding the idea of blending aesthetics when it comes to making yourself macrame accessories, but you’re just not sure the neon colours in the idea we showed you earlier on quite fit your personality? 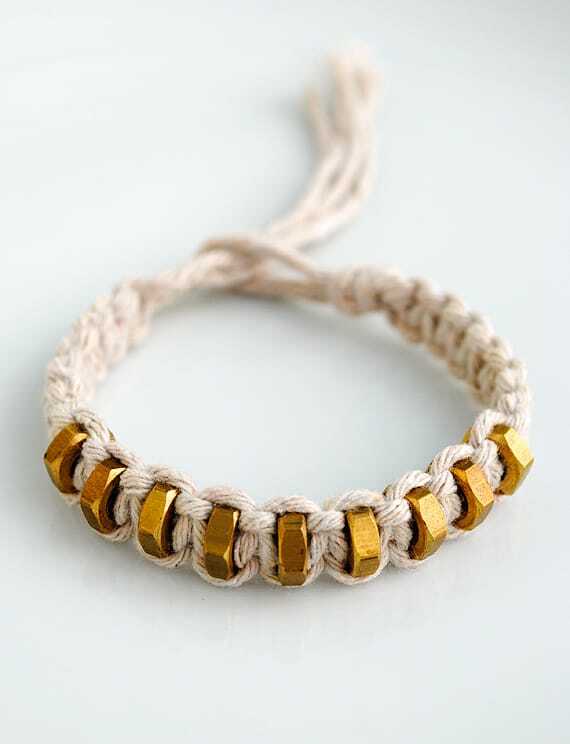 Well, if you’re looking for something a little edgier, we’d definitely suggest taking a look at how Minie Co. made these fantastic chunky square knot bracelets that wrap around and through metal hexnuts from their tool box to make an awesomely industrial chic upcycling project. 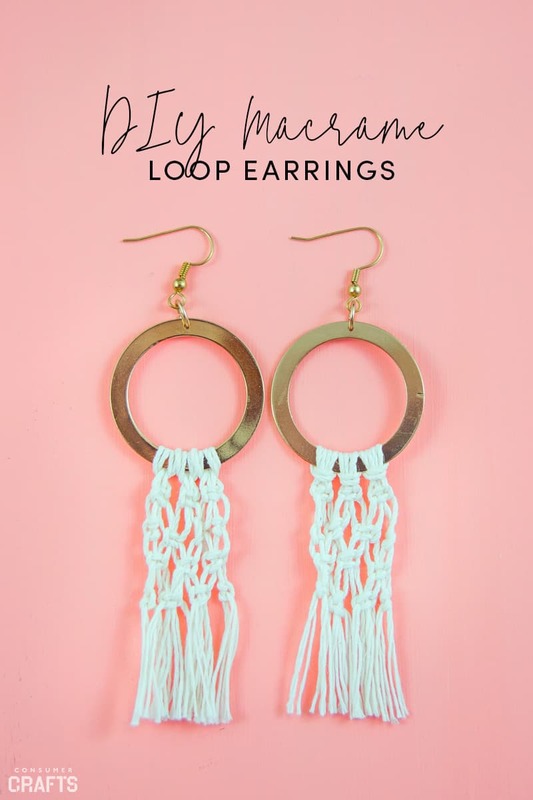 Have you actually fallen so in love with the idea of making yourself a hoop and macrame style necklace and pendant that you can’t stop thinking about the outfits you’d put it with, but you’ve also always been a big fan of complete looks that are accessorized perfectly? Then Crafts Unleashed is here to save your day! 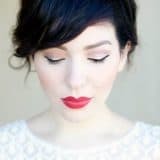 They show you how to make essentially the same thing but with a slightly different contrasting knot pattern that will coordinate beautifully, letting the hoop and the basic construction do the matching with your necklace. Are you the kind of person who always has a water bottle or some kind of drink with you because hydration is the key to life, but you get tired of always holding onto the bottle while you’re trying to do other things with your hands? We have this issue as well, particularly in the summer when the hot air makes the cold drink inside sweat on the surface of the bottle.